Two warships of the Royal Navy have been called HMS Engadine. 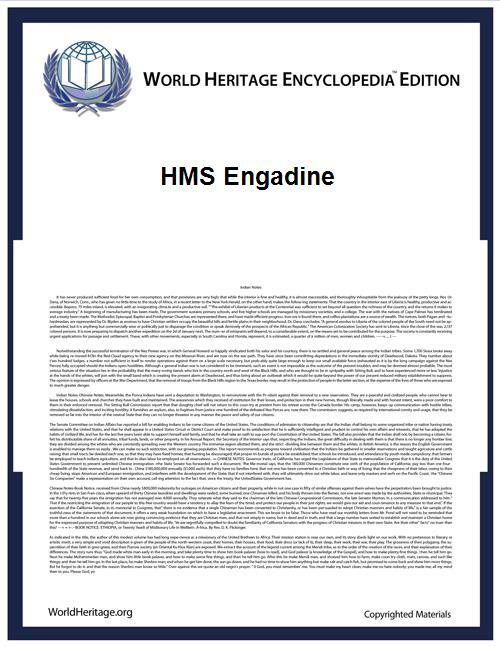 The first HMS Engadine was a seaplane tender which served in the First World War and was present at the Battle of Jutland. She was originally a merchant ship named after the Engadine valley in Switzerland, and the name was retained. The second HMS Engadine was an aircraft transport ship launched in May 1941. There was also a Royal Fleet Auxiliary helicopter support ship called RFA Engadine which took part in the Falklands War.